Note: This ARC was provided by the author via Xpresso Tours in exchange for an honest review. 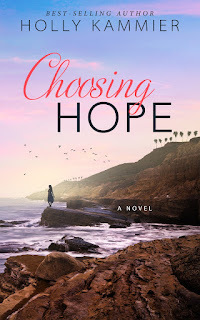 Choosing Hope is my first read from author Holly Kammier, and even though it's a spin-off of her second novel, Kingston Court, this can very much be read as a standalone. It's the story of one woman's journey--a journey that, I believe, others can relate to. It's a love story, but necessarily the kind that romance readers may be used to. Hope Rains Sullivan knows what it's like to love. She's loved her husband, her sons, her parents and siblings. But this tale has her learning to love the woman that she is and that her story is her own and the hero she seeks is the one she sees every single day in the mirror. This is women's fiction and contemporary romance merged into one story that highlights a point in Hope's life, with its ups and downs, the lighter and darker aspects of love--just like in real life. Thirty-eight-year-old Hope is married to Kevin and they have two children together, one having been diagnosed as being on the autism spectrum. 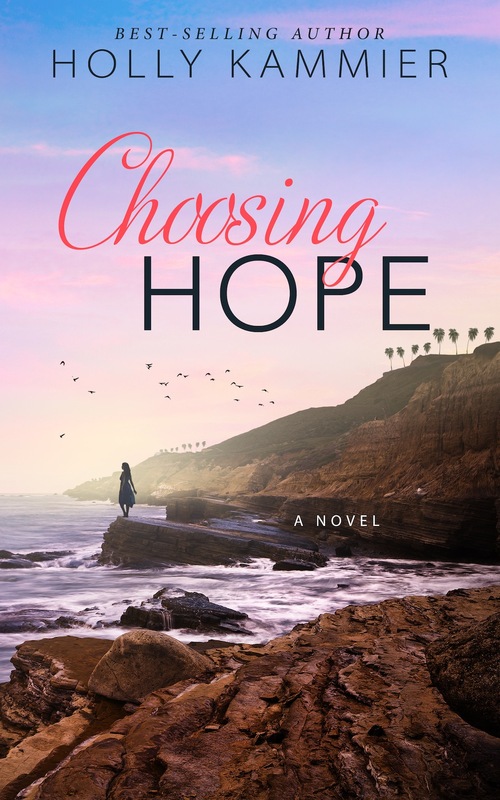 When Hope learns that her mother has suffered a stroke, she immediately decides to drive from her home in Northern California to San Diego to be with her. It is this one event that becomes a turning point for Hope, and in turn, for her marriage and family. As much as she loves her husband, Hope is far from happy, and reconnecting with the boy she once loved, Adrian, turns a rekindled friendship into a full-blown affair. He seems to be able to fill the empty parts of her heart and soul that her husband has left gaping open. Things are already so complicated but when lies from the past seep into the present, what future waits for Hope? Learn more about Holly Kammier. Purchase Choosing Hope on Amazon | B&N | iBooks | Kobo.